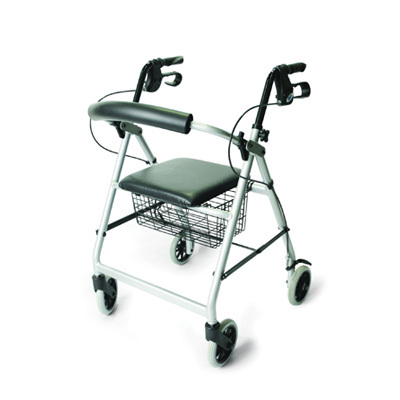 A multi-purpose walker made from lightweight aluminium with sturdy wheels and other features. 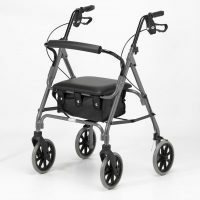 This lightweight rollator has height adjustable handles with a comfortable, ergonomic design. 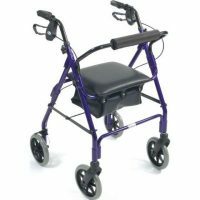 It has a cushioned safety bar and lockable brakes for added safety. 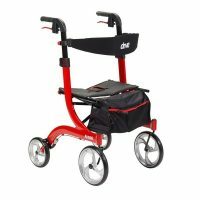 It also features a rest seat and a basket, ideal for carrying items during use. 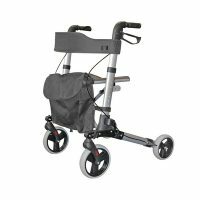 The rollator can be folded flat for storage and transportation. Available in a silver grey finish.